Summit Entertainment (a division of Liongsate) has announced Juan Antonio Bayona’s The Impossible for Blu-Ray in April. The film stars Ewan McGregor and Oscar-nominated Naomi Watts. The 2004 Thailand tsunami is without a doubt of the biggest disasters in recent history. One that shocked the entire world. The Impossible is director Juan Antonio Bayona’s way of showing the very human side of such a natural disaster. 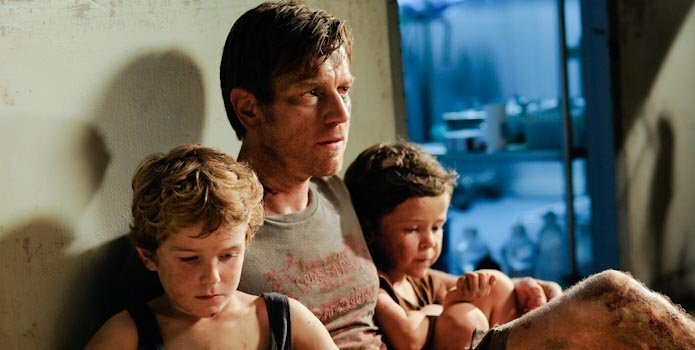 He brilliantly captures both the terror and scale of something as big as a tsunami, while stripping the film down to its barest moments, exposing just how important family is in times like these. I rarely get emotional while watching films, because I’ve seen ’em all before, but The Impossible had me damn close to the edge of breaking down. J.A. Bayona gets such strong performances out of Ewan McGregor and more important Naomi Watts. The two completely steal the show and make it an absolute must see. The visuals are also quite terrifying in how realistic they portray such a deadly event. The opening sequence is well-crafted and almost too real for some, revealing just how sudden a tsunami is and how helpless and alone it can leave you. Hope is a big factor in the film and Bayona never loses it as he shows us both the extreme highs and down-in-the-dumps lows of The Impossible. It’s a cinematic experience for all ages that’ll make you want to hug a loved one almost instantly after its over. The Impossible will be available to own on April 23rd, 2013.